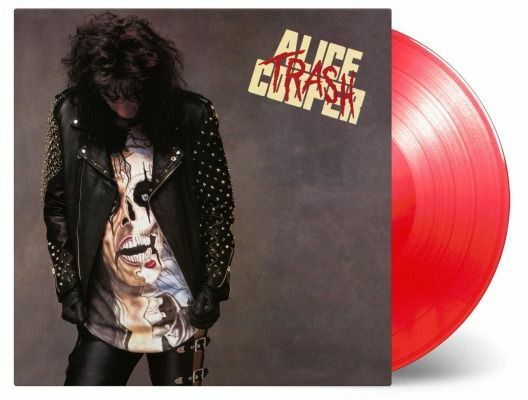 ALICE COOPER - TRASH RED VINYL RE-ISSUE (LP) | Online Shop | Wizard LTD. Album: "TRASH RED VINYL RE-ISSUE (LP)"
Trash is the 18th studio album by rock singer Alice Cooper, released in 1989. The album features the single "Poison", Cooper&apos;s first top ten hit since 1977. It was a great success in Cooper&apos;s music career, reaching the Top 20 of various album charts and selling millions of copies. The album features many guest performances including Jon Bon Jovi, Stiv Bators, Steven Tyler. Songwriting contributions were also made by Joan Jett, Diane Warren, Jon Bon Jovi, Richie Sambora, and John McCurry. The first pressing of this re-issue is pressed on transparent red vinyl. This edition is individually numbered and strictly limited to 1.500 copies.